Auto accidents occur at a high rate in Phoenix, and what that leads to is thousands of people being injured in the metro area in collisions every year. In almost every auto accident, someone is at fault, and if a person is injured because of someone else's driving mistakes, that person needs the help of a Phoenix car accident lawyer to make sure that his or her legal rights are properly protected and enforced. However, choosing a Phoenix car accident attorney involves much more than simply picking a name out of the phone book and making a phone call. Below is a brief guide to hiring a Phoenix car accident lawyer. 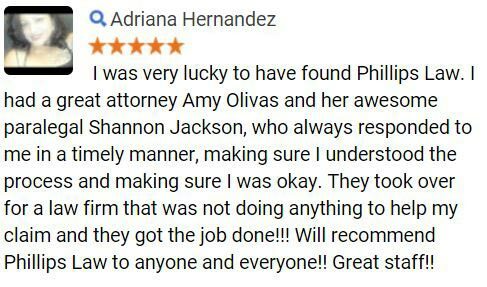 When you work with a Phoenix car accident attorney, you're going to be working closely with him or her throughout the progression of your case. It can be a stressful time for someone who has been injured, and this is when service matters. When you contact a firm, pay attention to how long it takes for that firm to return your call or email. When you schedule what should be a free initial consultation, pay attention to how quickly that consultation can be scheduled. How long have you been handling Phoenix car accident cases? Approximately how many cases have you handled? What percentage of those cases settled? What percentage of those cases went to trial? How generally successful were your cases that went to trial? While there are no 'right' or 'wrong' answers to these questions, you will need this information to make a sound decision. Ultimately, this is a situation where you need to trust your instincts. 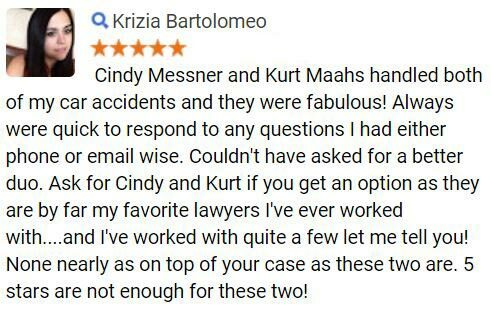 If you contact a Phoenix car accident lawyer who returns your call or email quickly, schedules your free initial consultation promptly and answers your questions in a way that feels right to you, all you need to be sure of then is that you will feel comfortable trusting him or her with your case. 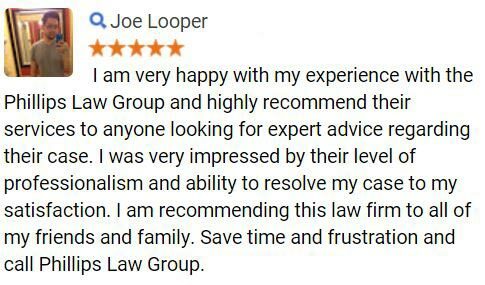 If you do, then take the step of retaining that attorney, as you owe it to yourself to assert your legal rights as soon as possible. 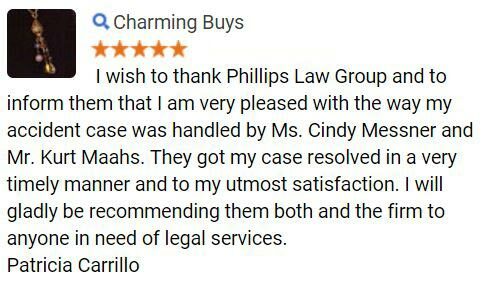 Overall, if you'd like to find out if you have a viable case based on being injured in an auto accident, contact a Phoenix personal injury lawyer at Phillips Law Group today to schedule a free initial consultation.